Since property investment in the UAE was opened up to foreigners in the 2000’s, Dubai has been a popular choice for foreign investors. There are good reasons for this: the city is a thriving economic hub in the region, which is not showing signs of changing anytime soon, unlike the UK housing market which continues to suffer thanks to Brexit uncertainty. It is also one of the best places for lifestyle in the Middle East. Perhaps best of all, buy property in UAE is tax free. Yes, you heard that right: when you buy real estate in Dubai, you will not need to pay any property taxes. This means that the property price is basically your entire outlay! However, you may be put off by the stories you hear about property investment scams in Dubai. Or perhaps you are deterred by the general idea of buying property abroad where you are not familiar with the local laws and procedures, and so could be taken advantage of. Here are some of the risks associated with buying property in Dubai, and how to avoid them. When the UAE first opened up leasehold and freehold property purchases to foreign buyers in 2002, this sparked a boom in foreign investment on the Dubai real estate market. Unfortunately, this also offered opportunities to less than scrupulous operators to take advantage of foreign buyers through scams. The UAE Government has since come down on scammers making these cons much less common, but unfortunately they do still occur, like this case in 2012. The most common version of the scam is to sell fake properties, or real properties but without the legal rights to do so, to unsuspecting foreign investors. The best way to protect yourself from these kinds of scams is to make sure the agent has the correct registrations and the property has all relevant paperwork in order: which we will look at in the next section. One of the major risks as a foreigner investing in property in Dubai (or anywhere really) is that you are not familiar with all local guidelines, and therefore may end up without the proper paperwork for your new property. In the best case scenario, this leaves you open to problems down the line when you want to develop or sell the property. In the worst case, this could let you fall victim to a scam which swindles you out of your hard-earned savings. In Dubai, all real estate agents and property developers need to be registered with the RERA (Real Estate Regulatory Authority), so as a first step be sure he agent is properly registered before you start negotiating. You should also be issued a Memorandum of Understanding (MOU) upon paying the initial deposit (usually 10% in Dubai) and then a No Objection Certificate (NOC) once the deal is finalised. Be sure to acquire these papers as the deal progresses, and if in doubt seek legal advice. Dubai real estate is currently coming off the back of a boom, meaning prices have flattened out and even dropped slightly in the past few years. However, the market is still experiencing growth in some areas and for particular property types. 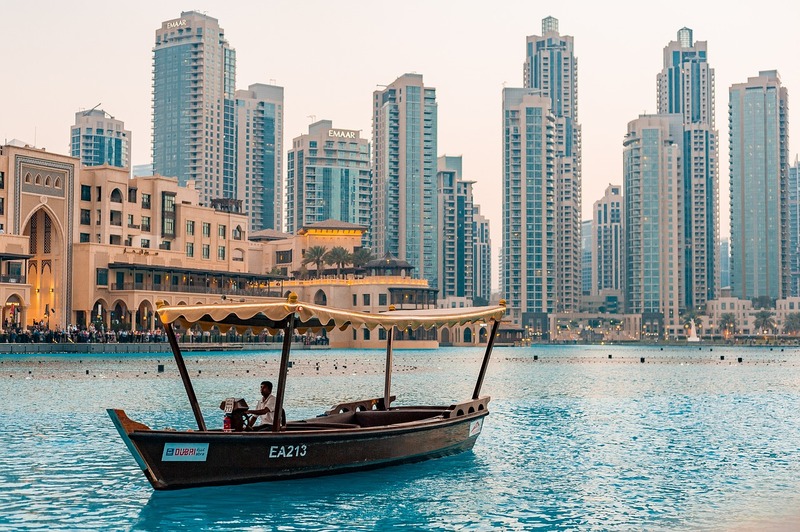 For example, studio apartments in Downtown Dubai and Dubai Marina increased in value over 2018 while many property values decreased, as did 5 bedroom villas in Jumeirah Park and Palm Jumeirah. Properties in Dubai Marina are tipped to increase in value in general due to developments currently in progress there, such as the luxury Palm Beach Residences and a major project from Raffles. Do extensive research into current market conditions to make sure you are investing in the right property type and area to be sure of a good return on your investment. If you are looking to buy property in Dubai not just for an investment, but also to live there, a host of additional considerations come into play. You need to make sure you buy an apartment or villa in a suitable neighbourhood that will meet your needs and deliver the lifestyle you want. Be aware that Dubai traffic can be horrific, particularly during rush hour, so choose a location which is close to your work or as great access to public transport. On that note, be sure that your apartment comes with one or more parking spaces (depending on your needs) as parking is next to impossible to find in Dubai. Dubai is divided into different neighbourhoods, each with their own spirit and community. So it is important to choose the neighbourhood which is right for you if you are planning on living there. Dubai Marina is popular with expats, characterised by its high-rise living and large number of shops and restaurants centred around the harbour. Mirdif is a more spread out and relaxed community, and a quieter option. Arabian Ranches is another quieter option with excellent schools, health facilities and shopping, but is one of the most expensive areas in town and is some distance from downtown.